Just a quick update on the girls doing ‘The Big Ride’ for The Big Issue. Anne and Jo completed a fundraising ride on May 23rd – you can find their blog about this event here. 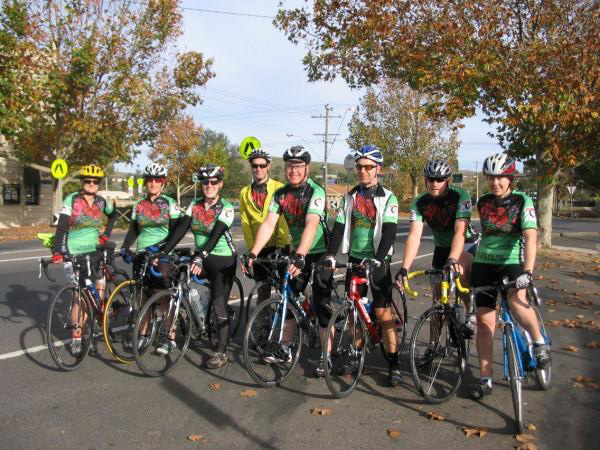 Here is a photo of the participants wearing their new jersey’s with my Australian Floral Emblems design on them! Very impressive! 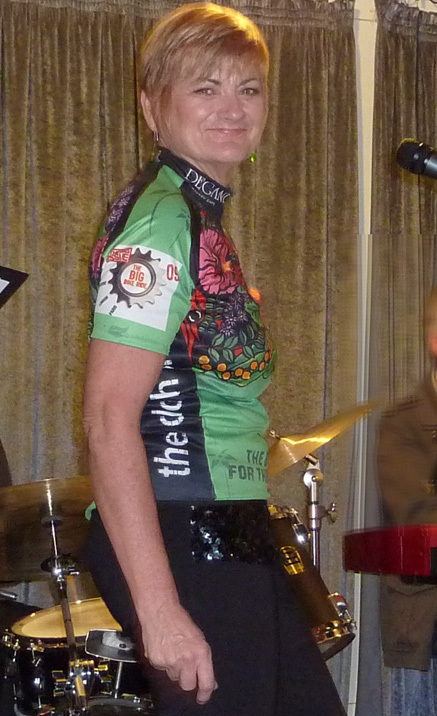 On 31st May, Anne – who is also a singer – held a fundraising gig – and here she is in the new jersey! My jerseys should arrive in the post this coming week – can’t wait to see them. Also great to see the amount raised by Jo and Anne to buy new equipment for The Big Issue office in Melbourne has almost reached their goal of $10,000 – great work!